People really do care about the outcome of this election! We have seen record numbers of people come out to the meet the candidates sessions we have hosted with our community partners. We ran out of chairs for both the Kitchener Centre and Waterloo riding sessions and added additional discussion tables in both. The Social Planning Council of Kitchener-Waterloo is offering a career development work experience for a youth between 15 – 29 years with an interest in applying new information and communication technologies in support of social development, with an emphasis on: Data visualization, Open source and open data, Web content management, Cloud applications and/or Social media and marketing. To be considered for this position, forward: Resume and Cover Letter with a clear statement of learning objectives, career goals and qualifications by 4:00 p.m. Wednesday October 21, 2015. Today is the last day for submissions to the Changing Workplace Review, consultation on the Labour Relations Act and Employment Standards Act. The Poverty Free Kitchener-Waterloo Action Group has supported the recommendations made by the Worker's Action Centre and the Ontario Federation of Labour. We as well align ourselves with the important points raised by the Social Planning Network of Ontario, looking into precarious character of work in the non-profit sector. Our submission speaks strongly about the need for proactive enforcement and greater accountability and compliance of employers if we are to build decent jobs and decent lives in the Province. What are your thoughts? As every election, we will be hosting our participatory Meet the Candidates sessions where both the candidates and the community members have an opportunity to get together and talk in an informal atmosphere. The purpose of these meetings is to provide a common ground for people with different perspectives and views to talk about the issues and policy directions that provide decent lives for everyone in our communities. September E-Neighbour: See You at the Festival Finale on October 18th! September E-Neighbour is out! Get ready for the ever popular scrap booking activity to tell everyone about your activities this year. Read about the previous Finale Celebrations and expect even more excitement because you will be in the draw for prizes and awards! Registration deadline is October 5th at midnight. See what the last year's Neighbourhood Improvement Grant winners are doing, who won the last Early Bird Prize this season, which ward is leading in the Challenge (not ward 10 at the moment), and what the winners of the Neighbourhod Connections award in Traynor-Vanier have been up to. Story from your neighbourhood can be in the next ENeighbour! "A city is only as strong as its weakest neighbourhood". The Kitchen Table Talks are providing lively and wide ranging discussions on how our neighbourhoods can support everyone to live a decent life. We continue seeking voices less heard in public meetings and forums. One participant shared a write up she did on a kitchen table talk she attended. The initerested is still there and there is still time if you wish to host a Kitchen Table Talk in your neighbourhood this September. Contact us to find out how. Our August Community Update brings some important updates regarding our new initiative and renewed interest to create a resident led Community Social Planning Council. We continue learning from inspiring neighbourhood stories and are currently scheduling the Decent Lives Kitchen Table Talks. How do federal election issues resonate with our day to day lives? Take a good look at our Federal Election Gateway webpage, read about the issues worth voting for and call us to be a part of a conversation: a kitchen table talk or an all-candidates session! 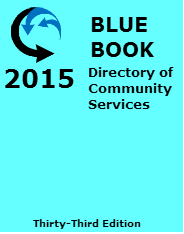 The 33rd edition of the Blue Book Directory of Community Services for 2015 is available now! Order your copy today: Download the order form. The Blue Book Directory of Community Services in Waterloo Region is the trusted source of community information and has been for more than 40 years. The Blue Book is comprehensive, listing local human services provided by social agencies, community organizations and governments, and features cross-referenced Name and Subject Indexes for quick access to agency information. The Blue Book is produced by the Community Information Centre of Waterloo Region, operated by the Social Planning Council of Kitchener-Waterloo. The journey home can be stopped by a single set of stairs. Even just a few steps can amount to an insurmountable barrier for a new parent juggling groceries with a stroller, the athlete recovering from an ankle injury, or the grandparent wanting to visit family. To read the article in full, see attached PDF or click here.